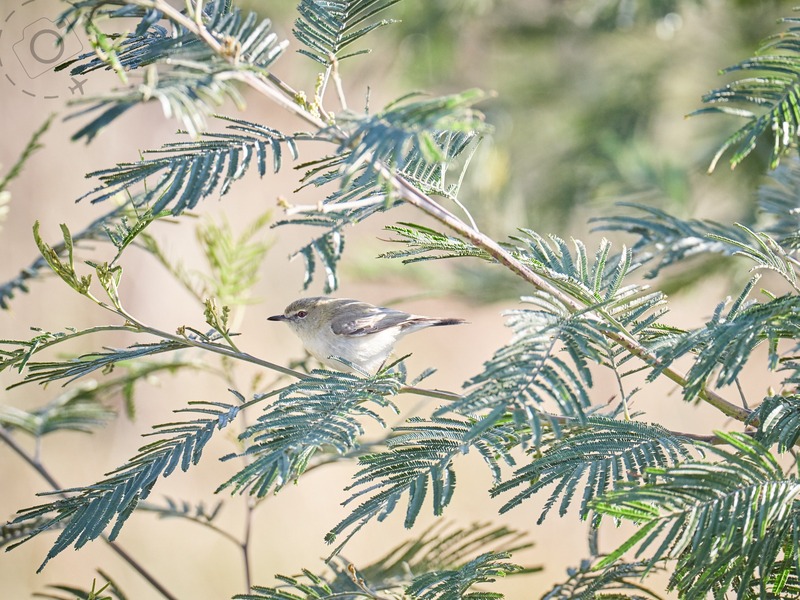 In August 2018 the arrival of a few Western Gerygones to the scrubland of Royal Park was definitely newsworthy. These guys normally live further north, a lot further north, such as the Mallee region of Western Victoria. The confluence of climate change and the el-nino induced drought has pushed a lot of wildlife south. I first heard about the new arrivals when doing my regular walk through Royal Park. A lady asked me if I was looking for the birds, and explained they were very unusual here. I didn’t realise it was a big deal at that time. I headed along my usual path and found several gentlemen standing around some low trees chatting, debating the possible reasons for the bird that was lost. A few minutes later that bird not only popped out to say hello, it almost landed on my camera lens. I got a heap of nice shots, and spent another 15 minutes watching him flitter about in search for food. 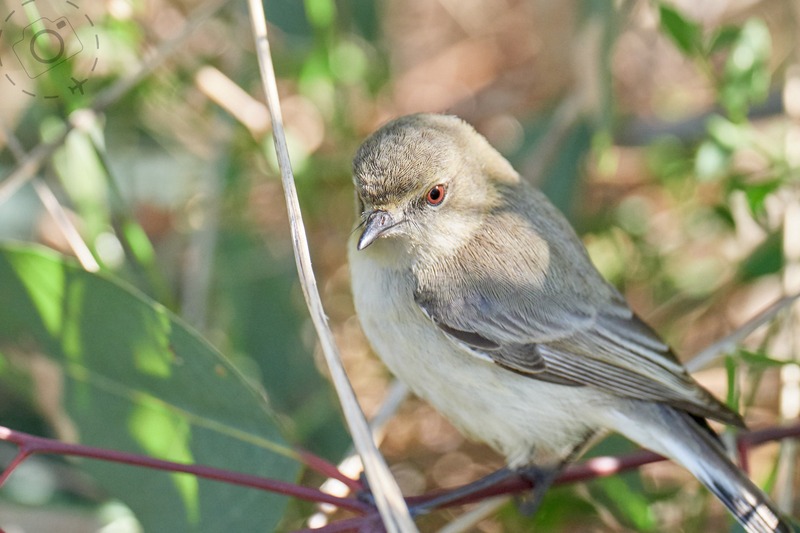 I had seen a relative of his, the Brown Gerygone, up near Brisbane only the week before. That’s the only reason I even knew what I was looking for. The next day I came back. 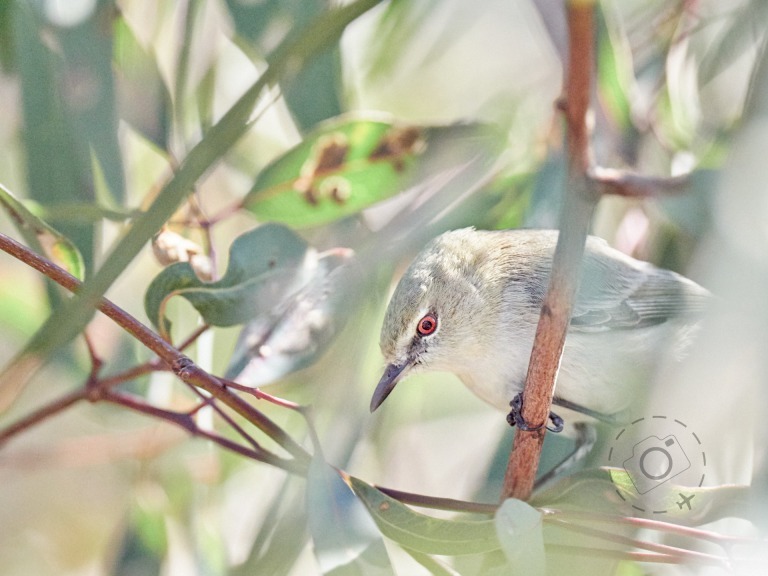 There were no photographers or birders, but the gerygone was still there in the same patch of bush. This time however it was a pair of them who posed for photos, not just one. In the weeks since I have returned to that little patch of scrub and every time I’ve seen at least one of the birds, if not three of them. Spending a little more time with the birds allowed me to get a better appreciation for their habits, and the habits of other feathered residents in Royal Park. 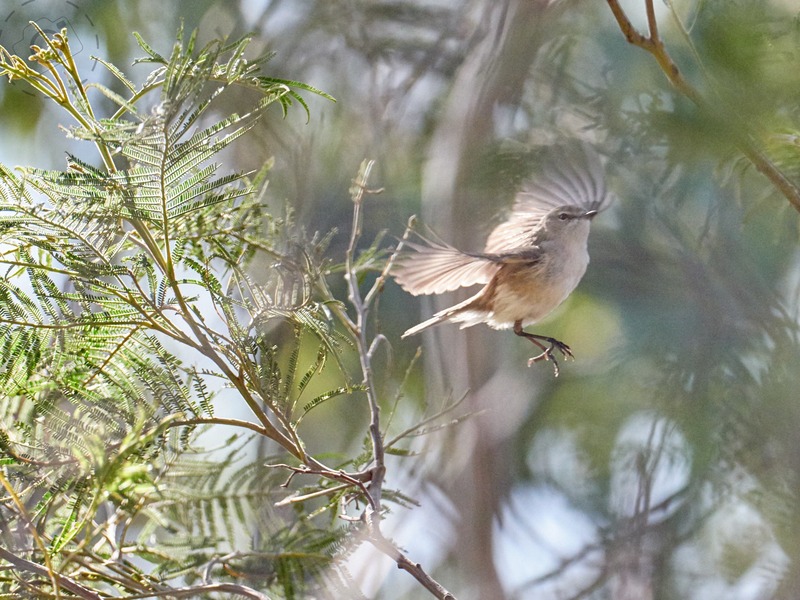 A particular Grey Fantail likes to push around the solo gerygones, while flocks of Fairy Wrens like to roll through the understory while the gerygone pair are feeding above. 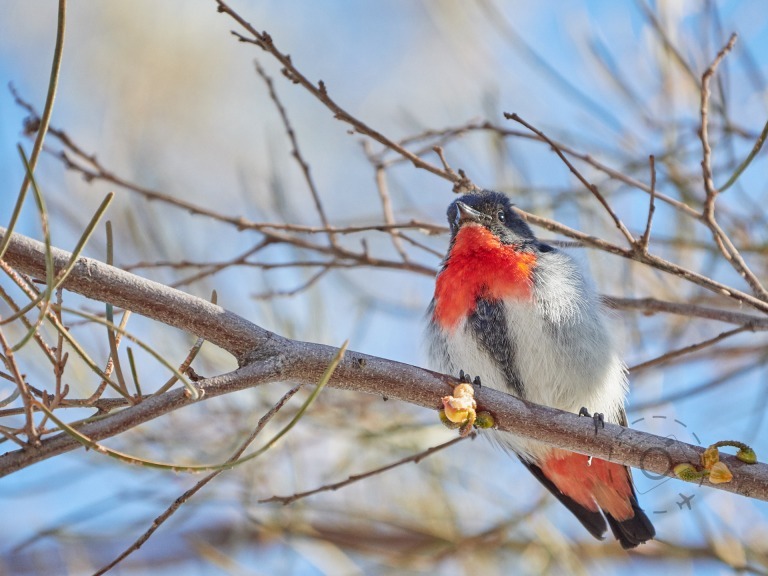 Sometimes I see the Spotted Pardalotes up above, in the taller canopy where the gerygones don’t go. I’ve heard bird experts like Tim Dolby and Harry Saddler talk about ‘mix flocks’ before, and it’s quite lovely to be standing in the middle of such a phenomenon as they pass around you. 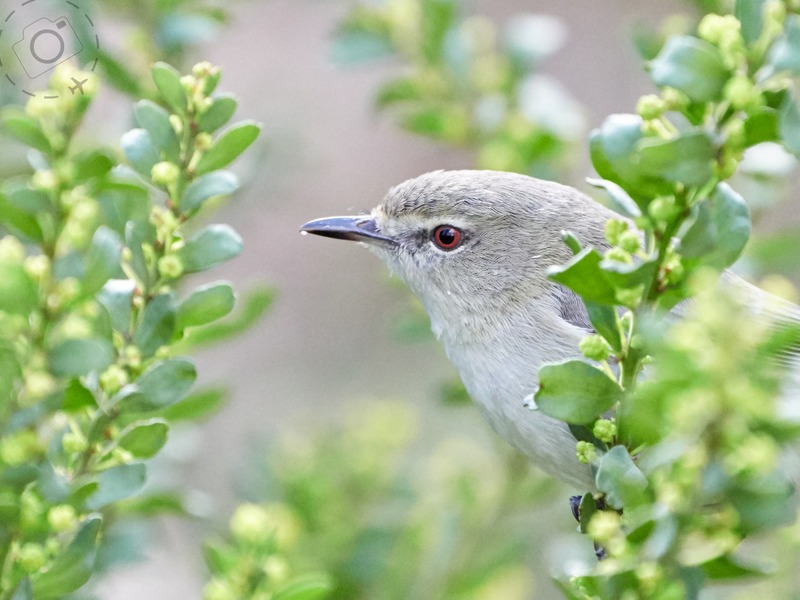 Birds like the Gerygone (and Thornbills) are important parts of the woodland ecosystem. They feed off psyllids, a parasitic bug, and the crystallised sugary lerps that the psyllids exude. 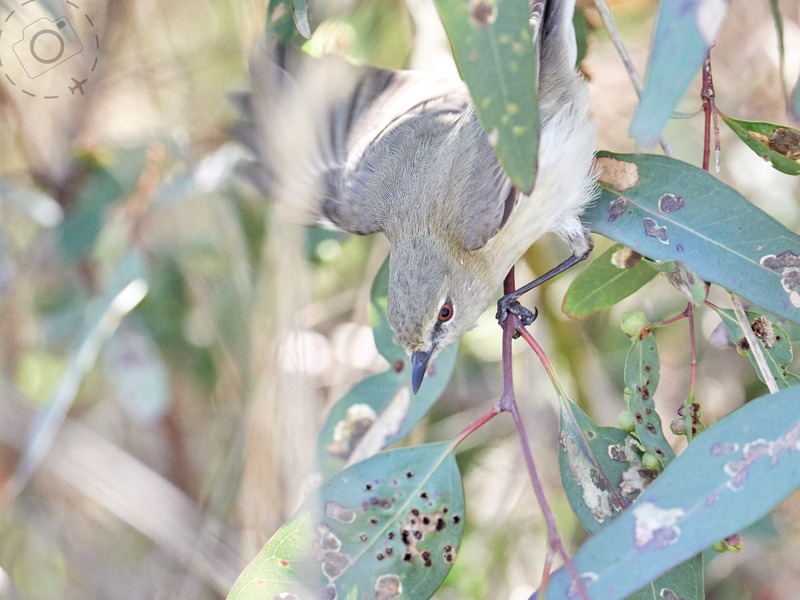 These small and diligent birds do a good job of keeping the psyllids under control. 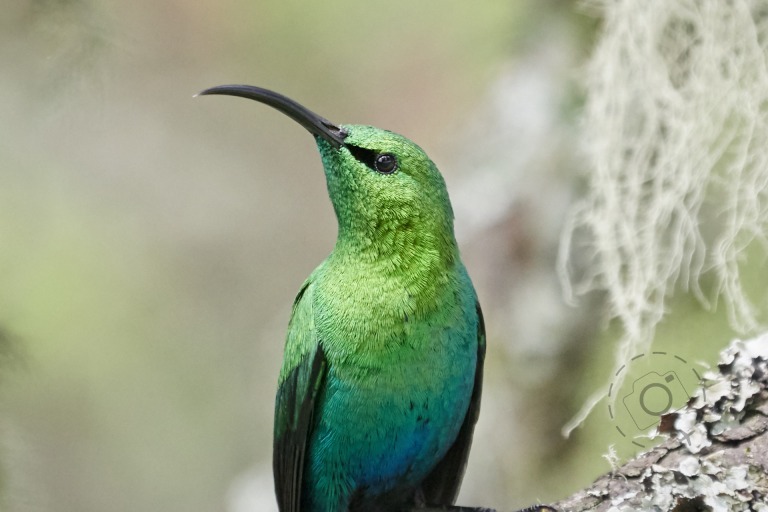 Some studies have suggested that when these smaller birds get pushed out of a habitat, such as when the highly territorial Bell Miners arrive, that the lack of predation on psyllids contributes to ‘die back’. Entire forests of trees can suffer. Ecology is complex and marvellous. 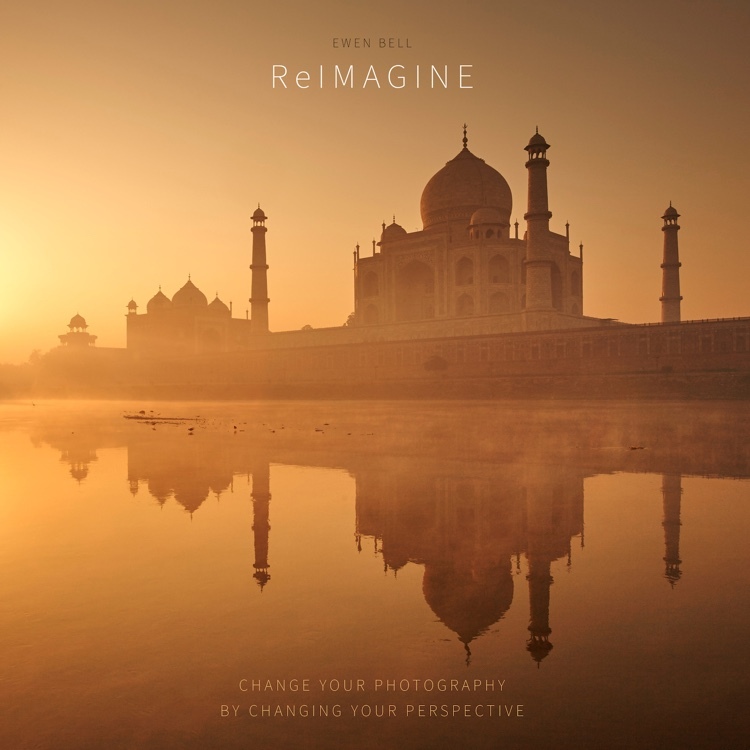 I love that such a small little bird can be so integral to the bigger picture. 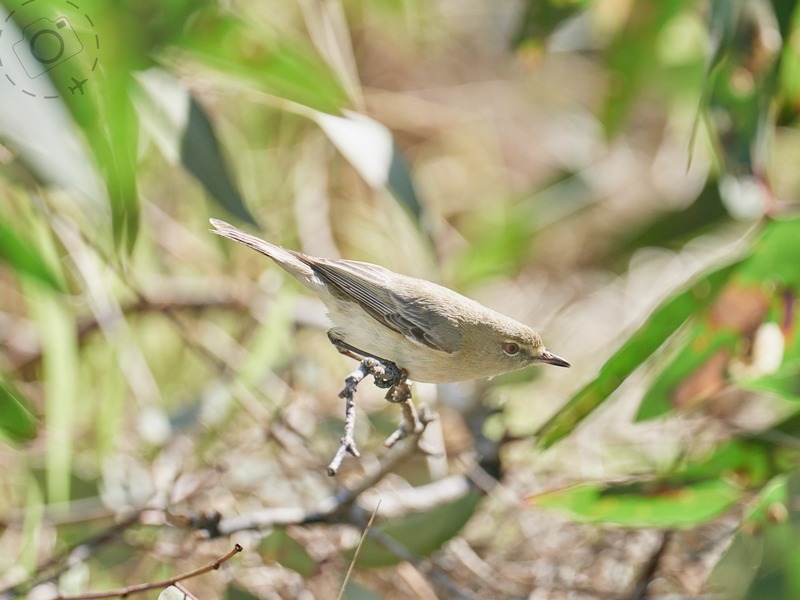 One of the lovely habits the gerygone have is hovering on the edge of a bush before targeting a snack. They don’t tend to hover for long, and they don’t do it over and over. 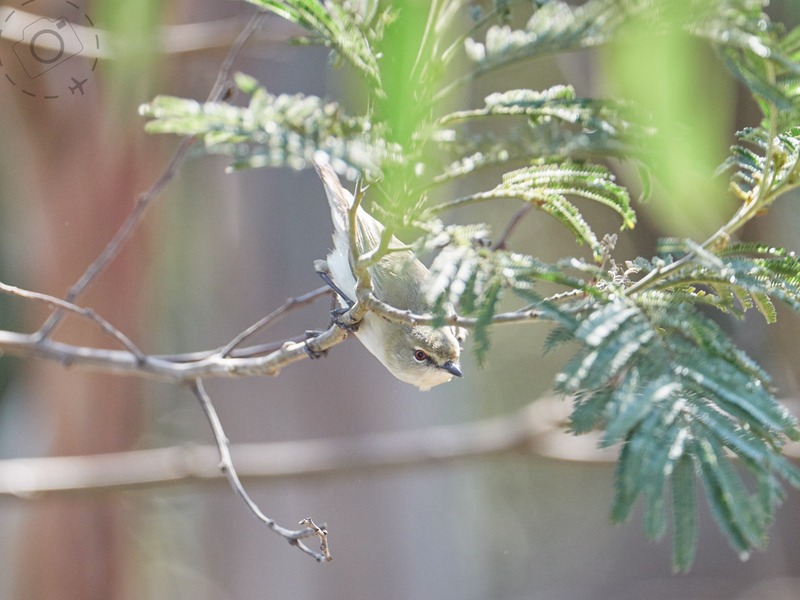 Mostly they hop along branches and get a look at the underside of leaves. 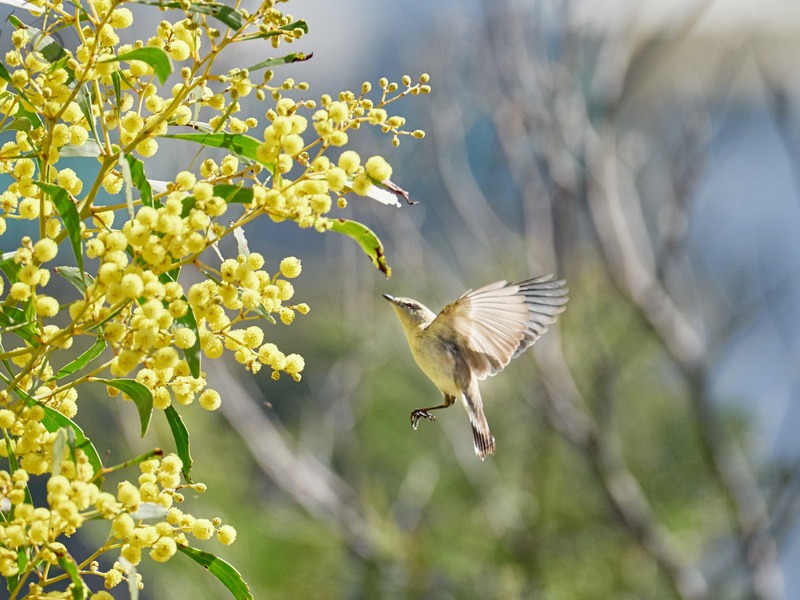 I was lucky this week to find my favourite gerygones taking an extended interest in a flowering wattle, and employing the hover attack repeatedly. The little guy was picking a different spot to hover each time but at least it gave me a shot at trying out a special feature on my camera. I have one of my custom modes preset for exactly this occasion. I roll my dial to C3 and the configuration gives me the lowest available f-stop, a shutter speed of 1/4000th of a second, and auto ISO boosting up to 3200. When the drive dial is set to ‘Continuous Mode II” my custom setting delivers 60 frames per second of RAW captures. The buffer on the Lumix G9 can hold up to 50 frames, so each burst of captures ends up being very short indeed. In this extreme high speed mode you also lose tracking focus, but I’m OK with that. I had several cracks at grabbing the sequence. I wanted the gerygone in flight, hovering and ready to strike. 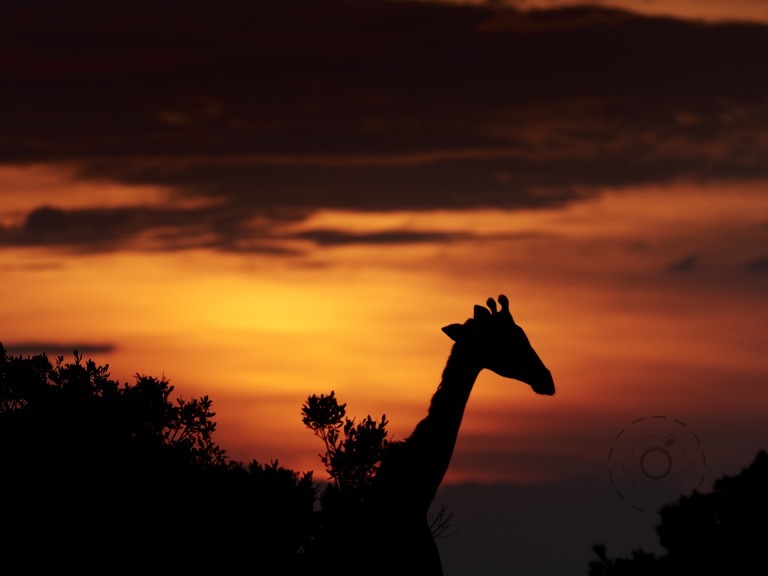 I wasn’t shooting from a particularly close distance, not compared to most of my photography in Royal Park, but I was happy just to get a real-life opportunity to utilise this more advanced feature. I made a short video below of the results from one sequence, slowed down frame by frame to reveal the bird in motion. What is striking is that even at 60 frames per second the bird is still crazy fast and yet we’re only getting a glimpse of what’s going on. Nature is amazing. No Jerry hasn’t gone. The correct pronunciation is "Jer-rig-gon-nee”. 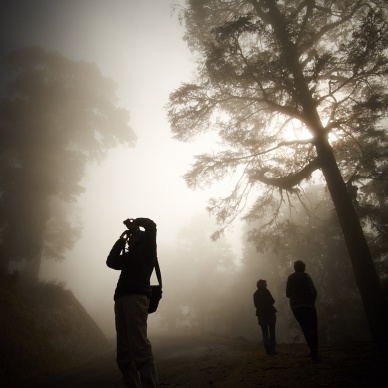 Where the wilderness meets man, the camera helps us to become a friend to nature.